Anurag Kashyap's Manmarziyaan was premiered at TIFF (Toronto International Film Festival 2018) as Husband Material and the cast of the film - Abhishek Bachchan, Taapsee Pannu and Abhishek Bachchan - arrived in Toronto to be part of the screening. 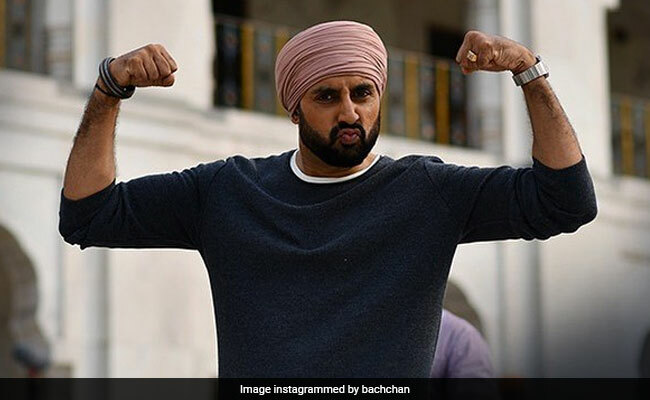 On Wednesday evening, Abhishek Bachchan shared a photo of his guest identity card for the film festival on Instagram with a hilarious caption. The ID card has a photo of Abhishek with his name on it and right below his name was mentioned 'Husband Material,' a tongue-in-cheek reference to the film. Abhishek had a hilarious take on it and he shared the post along with an amusing caption which read: "You think it's a good time to tell them I'm already married?" The post has been liked by celebs like Arjun Kapoor, Neha Dhupia. Bipasha Basu, Kunal Kapoor and Diana Penty, who also left their comments on his post. Take a look at Abhishek Bachchan's post here. TIFF 2018 is being held from September 6 - 16. Besides Manmarziyaan, Manto, Mard Ko Dard Nahi Hota, Bulbul Can Sing", The Sweet Requiem, Reaso, Circle and The Field will also be screened at the festival. Manmarziyaan is all set to hit the screens this Friday. Abhishek Bachchan, who took a break for two years, is returning with the Anurag Kashyap-directed film. In an earlier interview to IANS, Abhishek revealed the reason behind his two year break. "I felt I was becoming complacent in my work space and that was the main reason why I decided to go on a break. Complacency is like slow poison. That is why I needed some time off. To just re-focus and I am glad that I did that," Abhishek said. Abhishek Bachchan will be next seen with wife Aishwarya Rai Bachchan in Anurag Kashyap's Gulab Jamun. The film reunites Aishwarya and Abhishek on screen after 2010's Raavan.